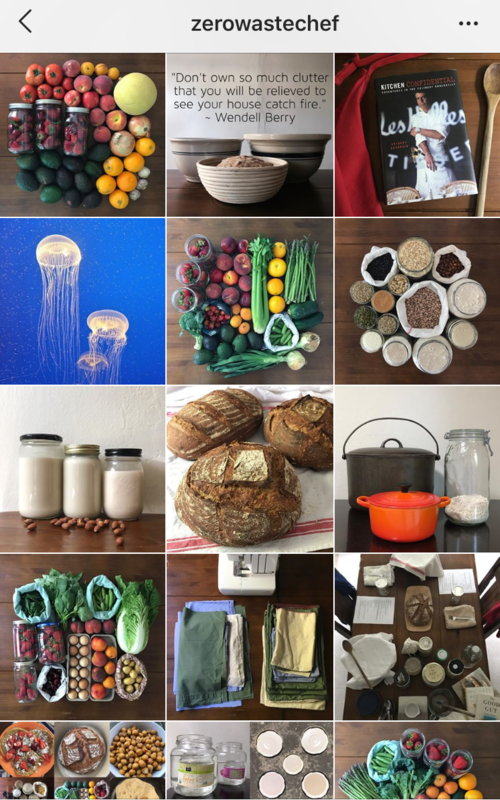 Screenshot of @zerowastechef's Instagram feed. A co-worker recently introduced me to the Zero Waste Chefopens a new window, a blogger who follows three rules in her kitchen: "No packaging. Nothing processed. No trash." Buying food without packaging has essentially led her to buy unprocessed foods which means a simple, healthier diet. She shops in the bulk food aisle or at farmers markets where she brings her own glass jars for small produce like blueberries or nuts. Her lifestyle may seem out of reach for most right now, but she offers many tips and advice that you can't help but feel inspired to make a zero waste lifestyle your end goal. 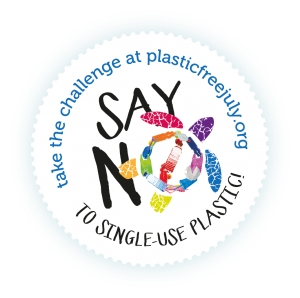 If you're just as inspired to reduce unnecessary waste, pledge to take on the Plastic Free July Challengeopens a new window with me! 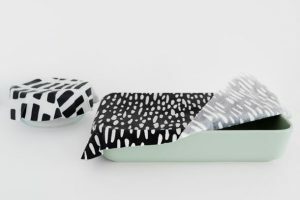 The Plastic Free July Foundation is a not-for-profit charitable organization that encourages a global movement toward recycling improvements and eliminating plastic waste. They offer tips on day-to-day lifestyle changes you can make, resources on alternative products, case studies, events for social awareness, and more tools you can use for yourself and to help spread the word. Opponents to plastic bans may argue that banning plastic will have a detrimental effect on manufacturers and retailers. I believe by being more aware of what we are consuming and how we consume it, our behavior will influence manufacturers and inspire innovators to come up with ideas that offer the convenience of disposable goods while maintaining green practices. (See wheat bran plates you can eatopens a new window! ) It may feel impossible to give up plastic now but being more conscientious at the point of sale is a good start. We probably already bring our own bags when we shop, carry our own insulated water bottles or ceramic coffee cups, and maybe some of us already have reusable straws on our shopping list (since we might see an end to disposable onesopens a new window in the near future). But taking on the Plastic Free July challenge will help us go a bit further in our efforts. Need a sewing machine? Check out Woodside's Makerspace: Sewing Machine Open Lab on Saturday, July 28 from 11:00 AM - 3 PM. Are you taking the pledge to go plastic free? What zero waste practices do you plan to adopt? Share with us in the comments!